#175: There Will Be Blood. Business lingo has it that, should you go down, you are expected to immediately get back up. During the turn of the 19th century, Daniel Plainview spends his days working in remote desolation (business lingo: ‘working as a freelancer’) while he hacks away at the bedrock in his small but private mineshaft in the search for gold. After a dynamite-related accident leaves him with a broken leg in the middle of nowhere, he in fact does not get up again immediately but instead hauls the loot he uncovered to the nearest settlement by crawling on all fours. Whether the mishaps changed his perspective or not, a few years later he turns to hunting down gold of a darker hue, and is now making a growing fortune as an oil prospector. He voraciously plants his drilling rigs wherever his expertise makes out a promising piece of land and wrings the necessary concessions out of the hands of its inhabitants, who usually are greedy and gullible enough to relinquish their property to him. 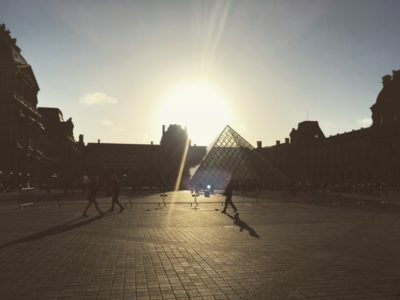 When, through an auspicious wink of fortune, Plainview receives an inside tip about a large deposit below the communal grounds of the Church of the Third Revelation, he seems to have found the perfect conditions to work with. For a concise summary of how that will eventually turn out for everyone, refer to the title of the film. 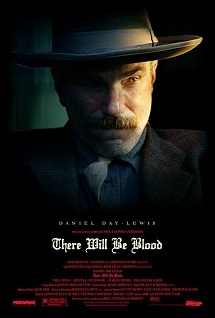 The crowd puller of There Will Be Blood is undoubtedly Daniel Day-Lewis playing the greedy oil baron. There probably are critics who could fill page upon gleeful page with descriptions about the yaw and sway of his eyebrow control, and he does indeed put so much verve into his acting that he turns the injury in his leg into the sort of impressively menacing limp that might cause any healthy but boring actor to cast a covetous eye on the nearest pile of dynamite. Consequently, Plainview is everywhere. Even when the story does not require him anywhere in sight he usually rummages about somewhere in the background, toiling away for your aesthetic enjoyment (business lingo for: ‘to make you spend money on a ticket’). #174: Idi i smotri – Come and See. 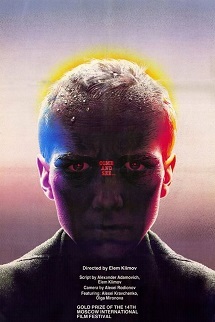 This is, as far as anyone could tell me, the only anti-war film worth mentioning ever to come out of the Soviet Union. It is the story of the young boy Florya, eager to join the local partisans and quite literally have a shot at the advancing Wehrmacht and SS strike forces. He is devastated when they make him stay behind to watch the camp as they march out to waylay the enemy. But whatever plans people set up for themselves and others, reality has a way of jumping up and punching you on the nose. And war is a particularly hard hitter. Florya soon gets the exposition he was asking for, at the price of seeing virtually everyone whom he has ever known die. I am not sure how many trigger warnings student authorities would expect you to issue if you wanted to show Idi i smotri at an Anglo-American university, but I imagine the list would be extensive. At first, the directors considered to have their inexperienced protagonist hypnotised to soften the blow of what they intended to put him through, but he did not respond to the treatment and they just had to work without it. Apparently by the time shooting was done, the teenager’s hair had turned grey. But notwithstanding the spectacle of anecdotes like this, or the fact that most onscreen special effects involve actors with rifles shooting live ammunition – because why not – it is the heavy symbolism, notorious for many Soviet movies from this period, that is worth digging for. “Come and See” probably already struck you as a rather unlikely title for a war film. It is a quote taken from the Book of Revelation, where the four Horsemen of the Apocalypse beckon John to confront Thanatos, i.e. Death, sitting on top of his pale horse while Hades erupts from the earth behind him. Nor do the allusions stop with citing the bible, basically you might find allusions to just about any major literary work in which death features prominently. Florya stumbling from one sequence to the next tends to go along with him treading any sort of unsteady ground, be it sand, mud or marshy terrain. People have suggested this transition might be similar to the way Dante crosses to the next circles of hell in the Inferno. 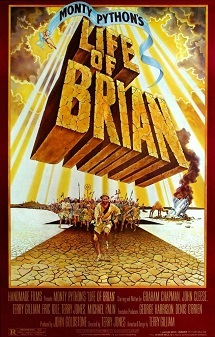 #173: Life of Brian. Brian Cohen, 33 years old, single, is a discount Jesus who still lives with his mom. Constantly thinks about women but will deny it when asked. Joins the Judean People’s… the People’s Front of Judea to get a chance with the hottie of the group. Pretends to be interested in the righteous struggle against the Roman oppressors, but I can see right through him. Plays the lead in a very silly movie. After careful observation, I’m almost certain some of the women are actually played by male actors. No serious acting establishment would ever get the idea to do such a thing. Hold on though, it gets worse. Some of those women are even trying to hide their gender by putting on false beards. We end up with male actors filling female roles who then pretend to be male. Does that strike anyone else as inefficient? Who would write such a contradictory story? This is simply asking too much of the audience. I give this movie the lowest possible rating: 8 out 10. 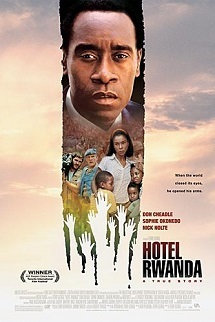 #172: Hotel Rwanda. Amid the 1994 Rwandan Genocide Paul Rusesabagina, manager of the Belgian-owned Hôtel des Mille Collines, offers shelter to more than a thousand refugees fleeing from the Hutu militia Interahamwe, whom it took only three months to slaughter at least half a million Rwandans in their blind frenzy, most of them members of the Tutsi minority. As a semi-official base for the stationed UN troops and with the hotel being in foreign hands, the Mille Collines is a relatively safe haven amidst the chaos and Rusesabagina proves willing to open its doors and take in as many people as it can hold. There is a two-way pull at work here. On one side, there is unrestrained and almost indiscriminate violence against members of the hated minority and any of their alleged supporters, with people being hacked down by machetes in the streets and left where they fall. In a sense, the film even benefits from failing to explain the conflict properly. We do get to know that the Hutu brooded on revenge for the Tutsis’ role during the Belgian colonial rule but it never gets any more explicit, which makes the sudden outburst of the killings appear even more senseless. Pitted against this is the deafening silence of the international community who, apart from a few Red Cross employees and the handful of UN troops already on site, remain utterly indifferent to the fate of the local population. Their emotional investment ends as soon as the last of their own countrymen are evacuated from the danger zone. #171: Le Notti Di Cabiria – Nights of Cabiria. 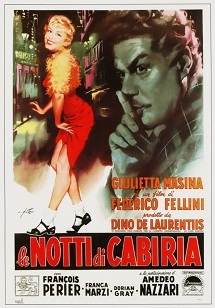 What would a perfectly harmless movie by Federico Fellini be without its ridiculous age rating? This one is apparently extremely harmful for anyone of 16 years or under, because Cabiria is the name of a young Roman prostitute with an unusually romantic and idealistic approach to her work. Apart from providing payment for the roof over her head she primarily sees her job as a means to eventually find a faithful husband. As could be expected, her clientele spends a good part of the movie dashing her expectations and she starts to rail against her fate of staying a streetwalker for the rest of her life. We accompany her on her nocturnal adventures, but even though she goes through one emotional rollercoaster after another the overall sentiment of the film never swings too far into being dark or depressing. Hence the rating, as you can see how a prevalently optimistic film about prostitution might have been a problem in 1957’s Italy. Part of this feeling undoubtedly comes from the highly expressive body language and confrontational dialogue of the actors, which from today’s standpoint might even seem slightly grotesque and absurd. But then, it might also simply be natural because they are Italians and I am just a German. My joints are stiff and it hurts to smile. Because they told me to: La Notte. Night again. Italy again. When this list is finished one day, there is not going to be a topic I will feel as well-informed about as the nightlives of Italians. Though for the sake of a balanced demographical representation, La Notte explores a different social stratum. Instead of following a waifish and energetic prostitute through the Roman night, director Antonioni’s camera sticks to the heels of a married Milanese couple who both seem to have had their fill of one another. The curse of the relationship hangs over the husband’s head like the sword of Damocles: Giovanni Pontano is still quite handsome for his age and he also happens to be an author of a certain local fame. I know prejudices are for the weak, but under such circumstances you might expect regular screaming fits from the general direction of his Italian wife. Lidia Pontano, however, demonstrates a remarkably bridled temper whenever she has to confront the escapades of her husband, who sometimes cannot even cross a hospital hallway without being dragged into a room by one of the female patients. 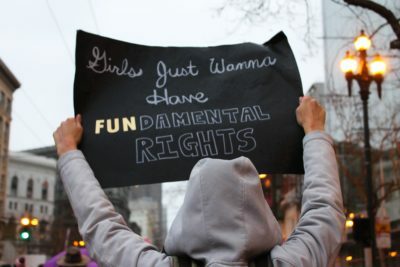 Under these premises, we are allowed to spend one moderately eventful night with them, while they are dealing with their mountains of mental baggage. The film seems to be setup for thorough melancholy, although the disastrous smackdown for the marriage which I expected right at the end never happened. It just keeps meandering along for the night, maybe trying to reflect how Giovanni and Lidia bear each other with silent resignation. 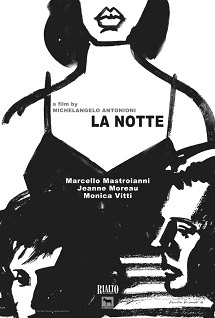 You might even ask why I am talking about La Notte at all, since it might be near but is not actually on the list. But when the ending credits of Life of Brian tell you “If you have enjoyed this film, why not go and see La Notte?”, it makes people like me curious. So, if you decide to follow their advice, this is what you are in for. There was no way Niklas could make the toads outside stop croaking while writing this article.